Lumbar surgery is specifically focused on the lower back between on or more of the L1-S1 levels and most typically is formed of two types of surgery, lumbar decompression and lumbar fusion. 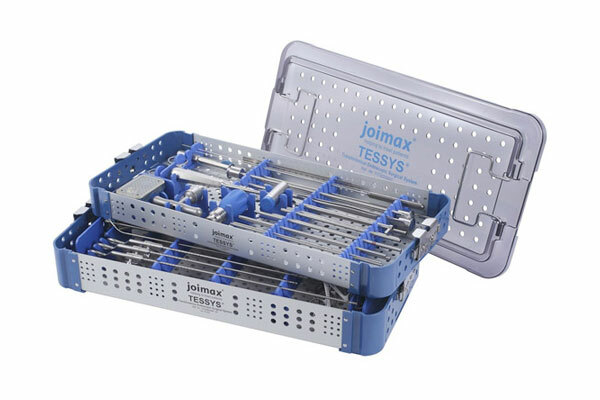 Our range of lumbar spine implants offer a variety of options and include the G Device, TOPS System, M6-L, CLIA Spinal Cage, Titamesh Cage and EndoLIF & Percusys Instrument Set. 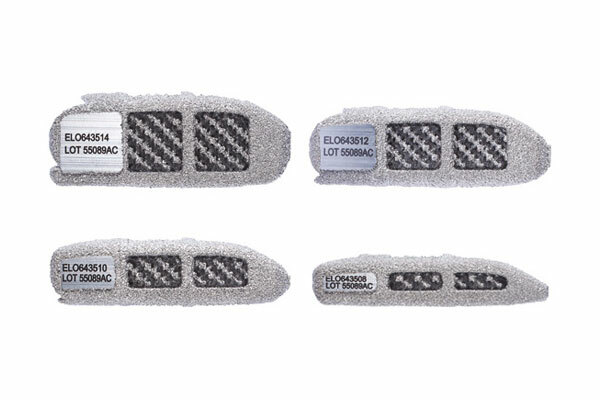 All of our lumbar implants and instruments comply with current GS1 Coding and traceability legislations and are available to purchase directly or on a hire basis and can be delivered on a next day or same day delivery service if required. 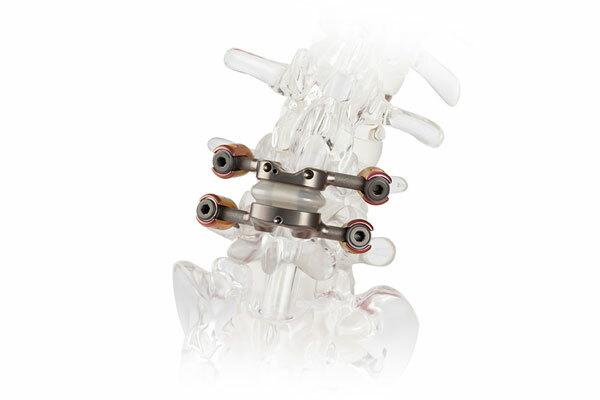 The G-Device implant helps to support and stabilise the spine after decompression surgery and can be solely used as a support assist for normal extension of the spine. The innovative design of the G Device helps to alleviate pressure on exiting nerve roots on the affected area making it generally more stable and secure which in turn allows for a more defined distraction. 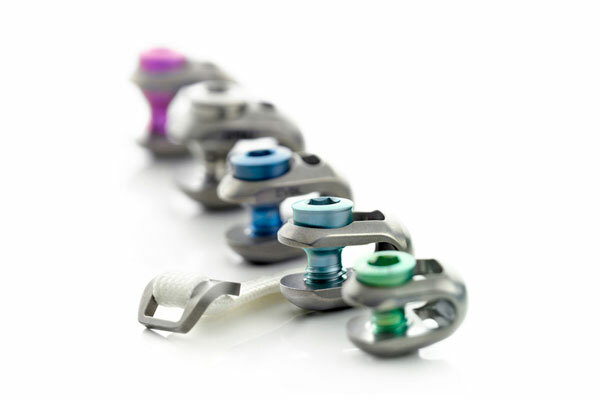 The cutting edge TOPS System from Premia Spine is a mechanical implant designed to offer stability and a wide range of motion for patients suffering with Spinal Stenosis and Spondylolisthesis. It’s innovative design allows for the patient to motion in a number of different directions after procedure including flexion, extension, axial rotation and lateral bending. This type of motion is something that cannot be achieved with a typical decompression-only procedure. 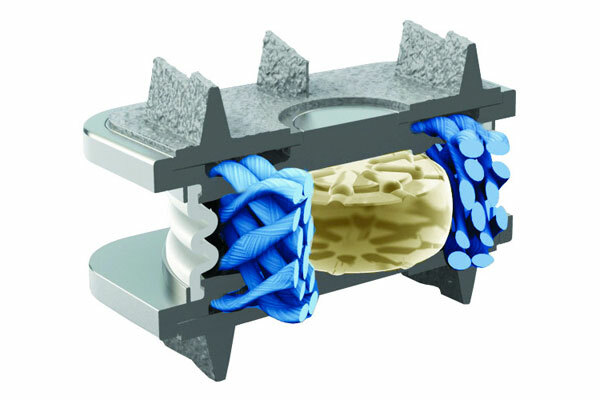 The M6-L artificial lumbar disc is a surgical implant that has a unique compressive design which provides a controlled range of natural movements to the patient after procedure. 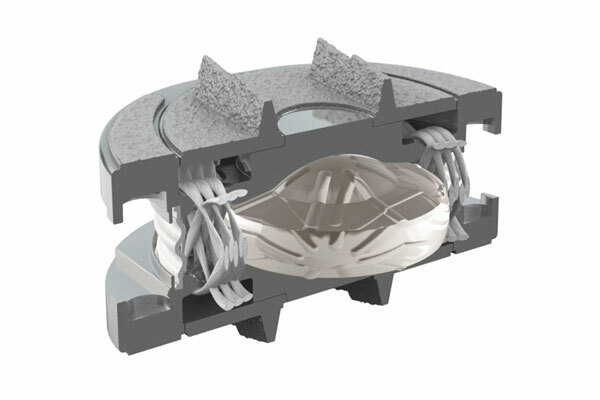 The innovative M6-L implant is the only artificial disc which has an incorporated polycarbonate urethane nucleus and woven polyethylene finer annulus to help give better rotation of movement. It’s shell is a two outer titanium plate featuring keels to ensure a secure anchoring of the disc bone. Our CLIA Spinal Cage range is designed to give a maximum area of graft for containment to help with Spinal Fusion. 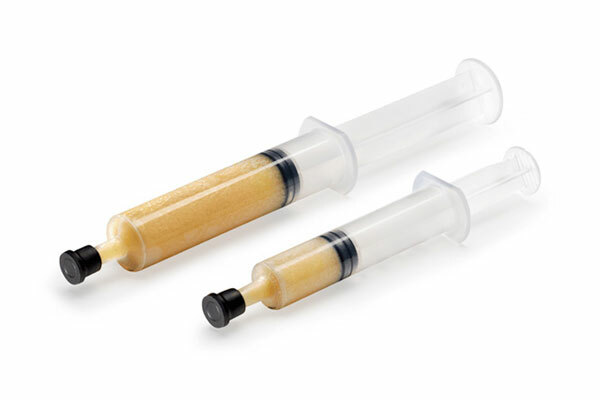 The graft containment cavity is ideally suited for use with our range of bone grafting products which include Accell Connexus Putty and Orthoblast II. The CLIA Spinal Cage can be purchased or hired for a variation of spinal areas including Cervical, PLIF and ALIF. 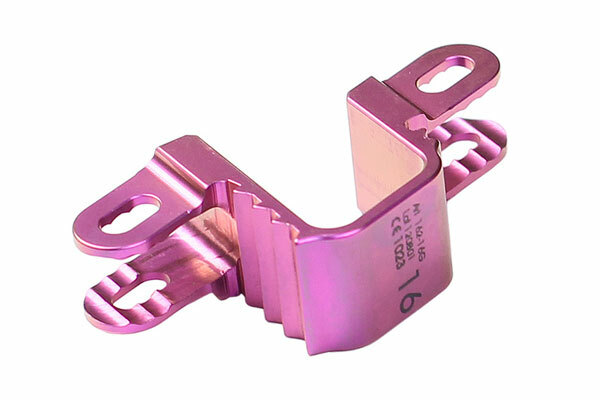 The Titamesh Cage for Lumbar has a superior design which provides a rigid anterior fixation for spinal fusion. It’s unique design uses cutting edge 3D Printing Technology to create a high grade titanium outer, ensuring that the cage has a consistent macro porous structure. 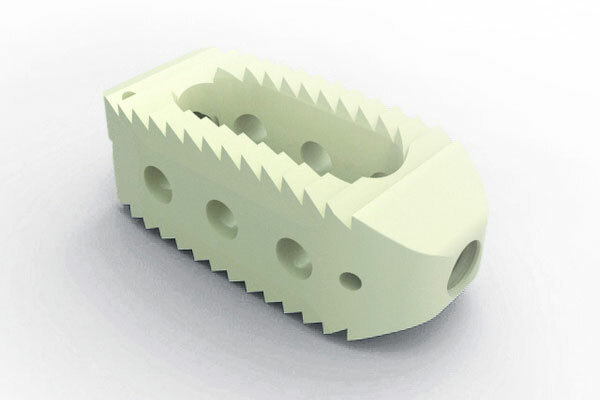 The Titamesh-L can be used as a standalone implant to incorporate spiked keels on both endplates. The Endolif Oblique Cage is designed to offer a minimally invasive treatment for fusion in the lumbar spine. The implantation of the Endolif implant is achieved through the assistance of a working tube which eliminates the need to remove dorsal bone structures and therefore giving a fusion which can be achieved without permanent structural damage to the bone. The Endolif O-Cage is made from a titanium alloy which has a porous design to help give an optimal base for cell proliferation. As well as supplying lumbar spinal implants, we also stock and distribute a range of other innovative spine implants and instruments to NHS and Private Hospitals nationwide. We stock and supply our wide range of lumbar spine implants to a range of NHS and Private Hospitals across the UK. 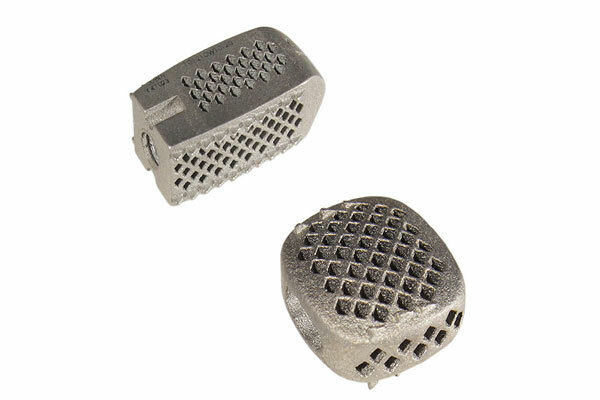 Need a Supplier of Lumbar Implants? If you have further questions or would like to discuss any of our lumbar spinal implants then please get in touch.